It’s not easy being a massage therapist! Sometimes the rules, regulations, scope of practice, and what we learned in school vs. the real world may seem a bit muddy. Why does our heart tell us something different than our brain? What’s right and what’s wrong? Where do our boundaries lie and what are our roles as massage therapists. Do we treat everyone the same? What about consistency? Join this lively discussion based group for answers to the above dilemmas and more. Class includes exercises and activities to see where you stand on some issues. 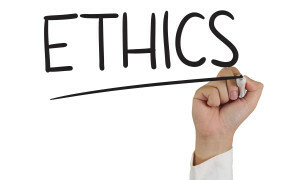 Ethics is a must have for PA licensure, so why not make it fun and educational? This ethics class fulfills Standard V: Roles and Boundaries as required by the PA State Board of Massage Therapy. Please bring writing materials and an open mind to this class.